Regal sought to create a new location for their Grafton-based operations, expressing their new corporate brand. The new 45,000 SF building incorporates industrial features softened by curved walls, natural wood and glass. Clients are greeted by a high-tech product display room. Large, open office spaces incorporate a vibrant color palette and private offices are faced with glass. A central spine connects all of the various functions and leads clients to an innovation tech lab. 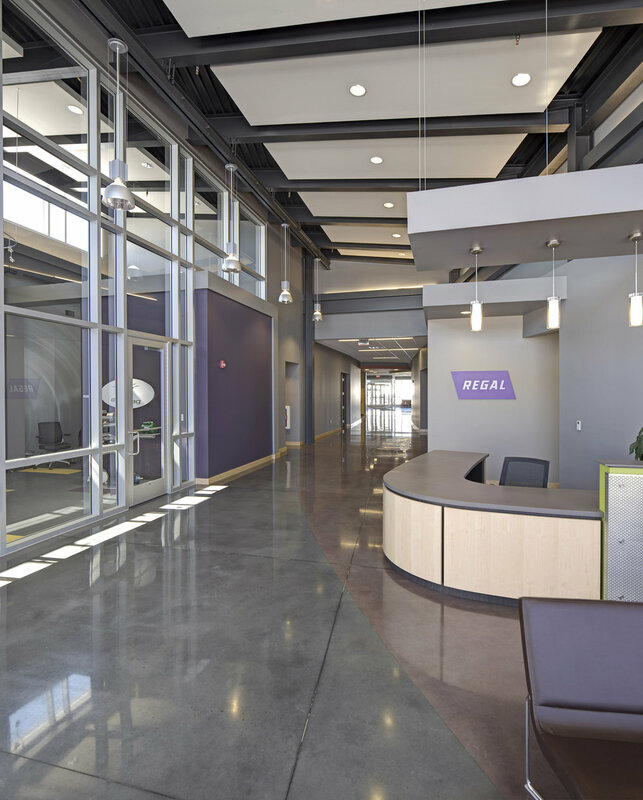 Regal’s new building strives for sustainability, and LEED Certification, with its energy efficient mechanical systems, abundant day light, and green materials.